Himalaya Liv-52 a unique ayurvedic supplement, is the world’s most recognized liver formula. Liv.52 is a recognized and registered herbal product in over 45 countries and prescribed by number of physicians around the world. Since the introduction of Liv.52 in 1955, along with the clinical case studies proves Liv.52 is one of the most studied and tested and Best Selling Liver supplement around the world. Liv52 A Blend of proven herbs with antioxidant properties ensures optimum liver function through the protection of the hepatic parenchyma. Liv-52 neutralizes all kind of toxins and poisons from food, water, air and medications, the detoxification process cleans and protect the liver. radiation or chemotherapy induced liver damage. It restores or improves the functional efficiency of the liver by protecting the hepatic parenchyma and promoting hepato cellular regeneration. Liv-52 regulates levels of liver enzymes and optimizes liver function by rapid elimination of acetaldehyde, the toxic intermediate metabolite of alcohol metabolism, and ensures protection from alcohol-induced hepatic damage. Liv-52 neutralizes all kind of toxins and poisons from food, water, air and medications, the detoxification process cleans and protect the liver. Liv.52 arrests the progress of the disease and prevents further liver damage. As a daily health supplement, Liv.52 improves appetite, the digestion and assimilation processes, and promotes weight gain. 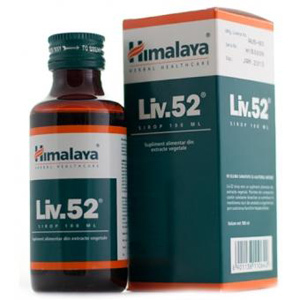 Liv 52 is best for a regular health conscious individual for liver support. Liv 52 is very popular among anabolic steroid users. Liv 52 is better than milk thistle. Liv 52 is used for Liver protection liver, detoxification, cirrhosis, hepatitis, liver cleansing and liver rejuvenation.